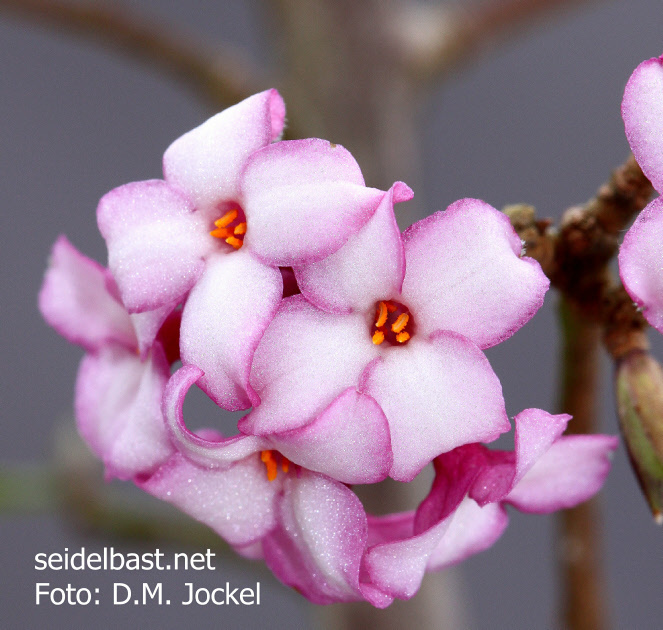 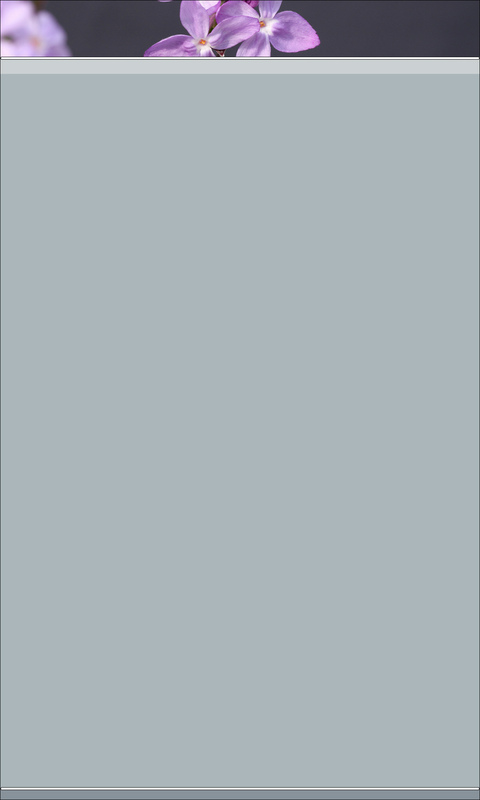 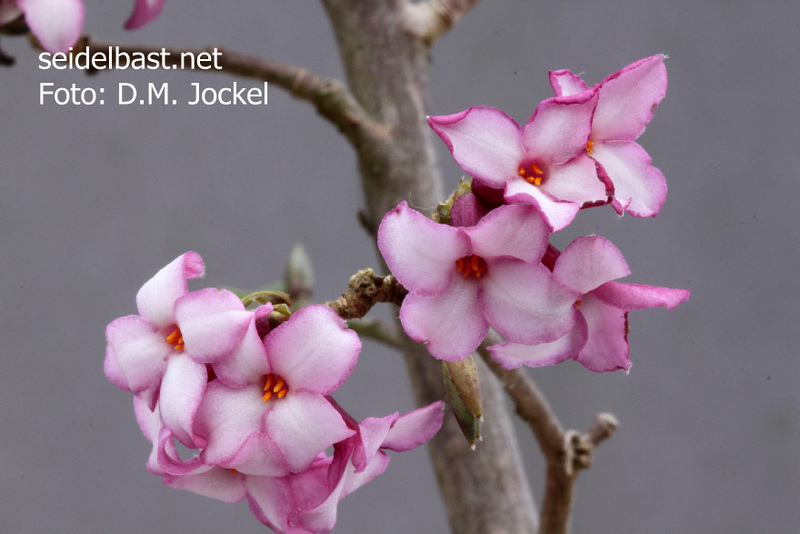 The plant on the following pictures shall have the selection name Daphne x ‘Rotkäppchen’. 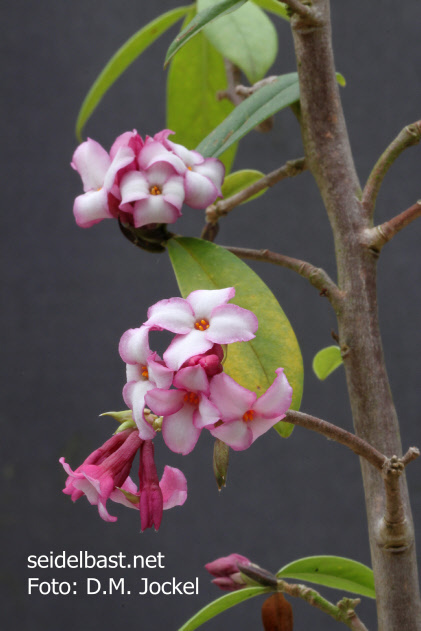 Several plants of the reverse cross (Daphne wolongensis x bholua) are also existing, but until now with a less intensive colouring. 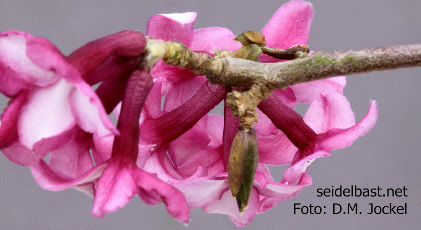 Astonishingly show the plants of the reverse cross the stronger growth.